Yglesias: Where's our suburban parking reform? And parking likened to chairs! Matthew Yglesias at Slate comments on Seattle's parking minumum reforms. Legislation passed last week by the City of Seattle will expand the areas that will be exempt from parking minimums and reduce the minimums in further areas. It is good news for parking reformers and Yglesias approves. The conceit is generally that cities should identify some particular swathes of land—downtown or downtown-adjacent, near frequent mass transit, whatever—where it seems like parking demand may be low, and then use those places as test cases for less planning. The real change in attitudes that we require is to recognize that there's no need for parking minimums even where demand for parking is high. In other words, why limit parking reform to dense, transit-rich places? 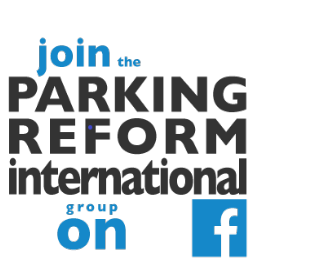 Reform of parking minimums is just as important for automobile dependent locations! Good point. Then Yglesias suggests an analogy. Oooh I like analogies, as regular readers will know. I've been to a lot of people's houses. Every single one of them—without exception—has featured at least one chair. People seem to like chairs. But to the best of my knowledge these houses don't have chairs in them because houses require the presence of chairs. Rather the chairs are there because people want chairs. Unfettered markets have many flaws, but the thing that they're really, really good at is ensuring that a given town has exactly as many chairs as its residents want to pay for. Parking is similar. I like it. It makes some sense if you already know that Yglesias also advocates market pricing for the parking in the street. So on first reading I found it a nice little rhetorical jab to make people think again about parking minimums. But it falls a bit short on closer inspection. It is developers that usually provide parking (and toilets by the way) at the time of construction. Whereas it is residents and tenants who usually provide their own chairs. Too few? Buy some more. Too many? Get rid of some. Not so easy with parking. And a shortage of chairs inside housing will not have any impact on the seating arrangements out in the streets. So it doesn't remind us or reassure us that the off-street standards will not be needed if we get the on-street management and pricing right. So I am adding this to my list but I am still on the lookout for compelling parking analogies. I think you provide your own answer: think of other housing amenities provided by developers. If the market turns toward granite countertops and stainless steel appliances, developers have no problem providing those in new units. If it turns sharply enough, developers will spend money redeveloping a site to provide them. I usually think hot dogs and buns. When someone says that more parking will reduce traffic, I usually say, "Well, if they gave away free hot dog buns at the store, would people eat more hot dogs or fewer?" The typical response, "if the buns were free people would eat more hot dogs." Then I ask, "How is a hot dog bun different from a parking space?"